Want a free ringtone? Audiko.net! 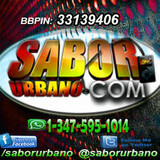 Use an opportunity to download a free SaborUrbanoOficial ringtones for your iPhone or mobile. Choose your favorite section from your favorite tune - Nicky Jam Ft Kalimete El Perdon Mambo Oficial Merengue Remix, Yiyo Sarante - Lo Hago Con La Mano #2015 #salsa #dominicana, Yiyo Sarante - Un Corazon De Acero SALSA 2016, or any other track. On Audiko you can obtain your ringtone both in the MP3 and m4a formats, supported by both mobile phones and iPhones. Just select a track, and choose free SaborUrbanoOficial ringtones download option.